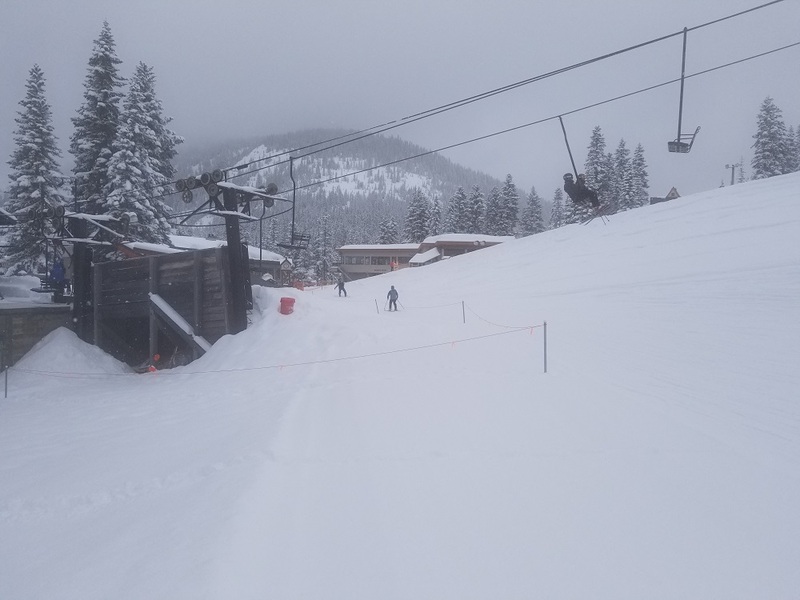 Davis Law Group has filed a lawsuit in King County Superior Court (18-2-26466-9 SEA) against Stevens Pass Mountain Report on behalf of a man who was seriously injured when the resort failed to properly mark a hazard. On Feb. 10, 2018, A.A. was night skiing at Stevens Pass Washington Ski Resort in Skykomish, Washington. At about 5:30 p.m., as he approached a chair lift area, he hit a rope strung across a ski pathway. The thin rope was impossible for skiers to see under low-light, night skiing conditions. There were no warning signs or markers placed around the rope to warn skiers of the hazard. Stevens Pass failed to properly mark the roped path; failed to adequately light the rope and path; and failed to warn skiers of the rope strung across the path. See photos at the bottom of this page. The victim suffered serious injuries, including a left clavicle fracture which required surgery to treat the injury using plates and screws. He required months of physical therapy, and additional surgeries may still be required in the future. A.A. was severely injured, suffered, and continues to suffer, physical disability and pain, emotional trauma, medical expenses, loss of earnings and other damages. The incident was not in any way caused by any carelessness or negligence by A.A. 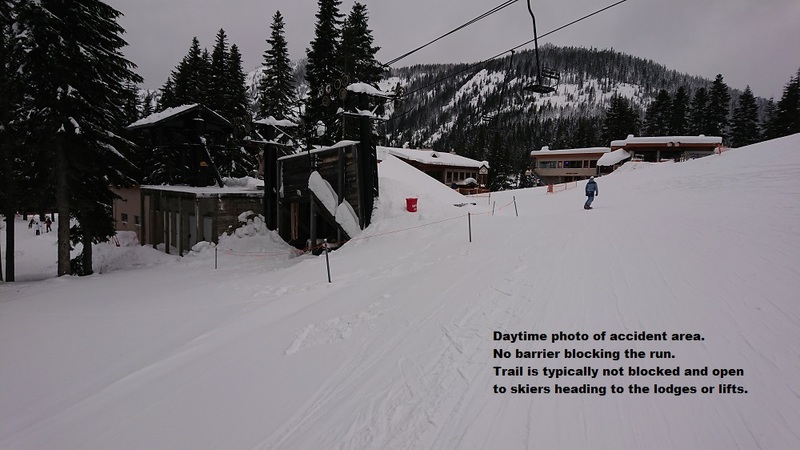 Ski resort operators must take safety into consideration before placing any artificial obstacle within their boundaries and ensure that these obstacles are clearly visible and properly marked. 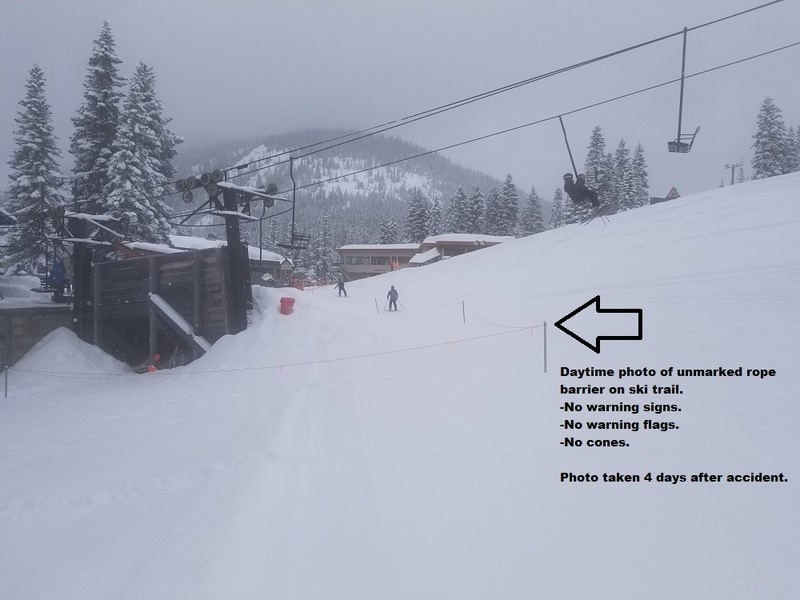 Orange ski fence is a cost effective, clearly visible barrier for marking safety concerns. Many ski resorts frequently use orange ski fencing to warn skiers of obstacles or safety concerns. Orange ski fencing was not used in this case. The ski area was owned and operated by Stevens Pass Mountain Resort, LLC. It has since been acquired by Vail Resorts, Inc. The accident happened on the Promenade run (green run) just beneath Kehr’s Chair approaching the base area. Anyone who has ever experienced similar incidents in the area is encouraged to contact attorney Maridith Ramsey at Davis Law Group by calling (206) 727-4000. Docket: 18-2-26466-9 SEA See court filing. Above: Daytime photo of accident area 4 days after the accident. Click on image to see larger version. Photo credit: Davis Law Group.